While I’m not personally a vegetarian or a vegan, I eat plant-based most days of the week and enjoy sampling different plant-based options around the city whenever I can. I also know how hard it can be to come to Mexico City and find meat and dairy-free meals. That being said, restaurants are definitely getting better about having vegetarian and vegan options on their menus and certain restaurants around the city are totally vegan, which is a huge step for a country that thinks beans cooked in pork fat are a vegetarian option because if you can’t see any meat, then it must be veggie! While Tacos Gus isn’t an entirely vegetarian taco spot, it has made a name for itself amongst vegetarians and vegans in the city. 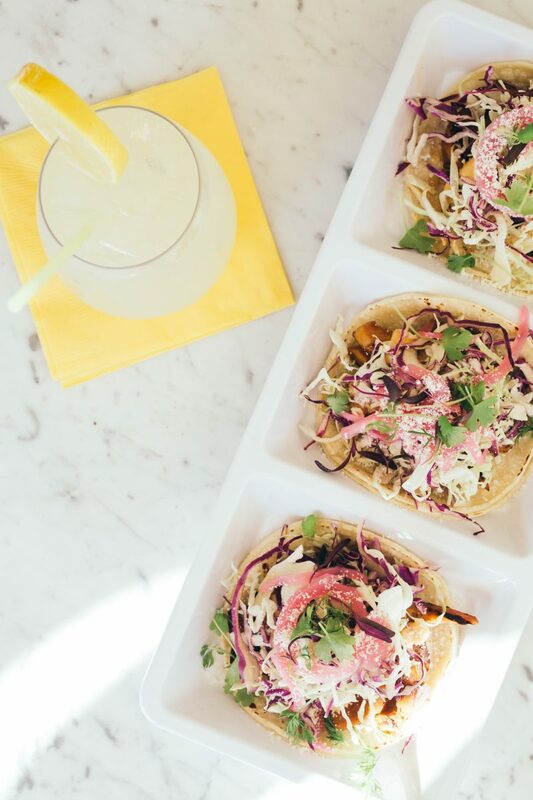 Head here for cactus tacos, bean tacos, and all manner of vegetable fillings that are packed with as much flavor and given as much care as all of the meats on the menu. It’s the perfect place for those that are traveling with non-vegetarians and want to keep everyone happy. It’s a seriously popular spot, so be prepared to wait in line during meal times. Forever Vegano is one of the few truly vegan restaurants in the city. Everything on the menu is free of animal products, refined sugar, preservatives, and additives. They source a ton of their ingredients from within Mexico and organic whenever possible. They make absolutely amazing vegan tacos and they also have several gluten-free and raw options on the menu. If you’re located in Polanco or Roma Norte, you can also find Forever Vegano on Uber Eats. This amazing little cafe is perfect whether you’re a vegetarian or not. They make delicious coffee and have tons of non-dairy milks to choose from. I like it best for breakfast, but they are open 11pm, so you can get food here all day long. They have a menu that changes almost daily with different soups, salads, pasta dishes, and veggie burgers. Most of the dishes are vegetarian and next to the description they explain how the dish can be made vegan (swapping cheese for tofu or swapping mayo for guacamole, etc). If you’re staying in the Polanco area, this is a great vegan restaurant. It’s located in a shopping center, which isn’t the best place to spend your vacation, but the food here is pretty delicious. They do everything from vegan pasta dishes to vegan taco options. 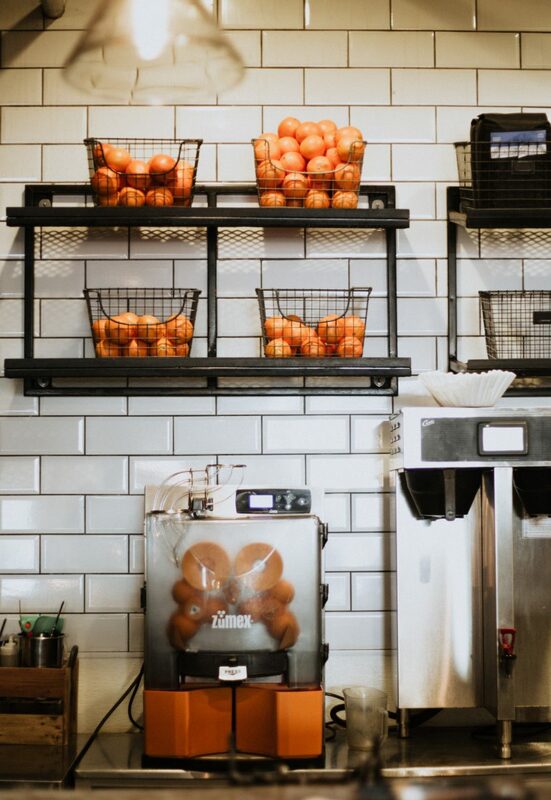 They also have breakfast options like smoothies, acai bowls, and housemade granola. One of my favorite things about this spot is the fresh bread. It can be hard to find really great bread in Mexico City and this is one of the few places to do it. This was one of the original vegetarian restaurants to pop up in Mexico City. It’s been around serving classic Mexican dishes done without meat (and many without dairy, too) since 1963. The busiest and in my opinion, the best time to visit Yug is at breakfast time. They have egg dishes with fresh tortillas, sausages and chorizo made with soy, and nice sandwiches. They also have vegan cheese and a few gluten free options, too. This is basically an artisenal bakery that also happens to serve vegetarian options. It’s located in the southern neighborhood of Coyoacan. There is a surprising number of vegetarian and vegan restaurants in Coyoacan, so if you come to this part of town for a day trip, you’re sorted for options! You can either order in and enjoy one of their freshly baked breads or pastries with a coffee or grab a bunch of things to go. Some of the vegetarian options include empanadas with unique fillings, sweet pastries, and meat-free pizzas. In general, La Casa del Pan Papalotl just a great place to head if you want to pick up some bread for a picnic or for breakfast in the mornings. This is a completely vegetarian restaurant with tons of Mexican dishes made without meat including chilaquiles, enchiladas, chili rellenos (stuffed peppers), cochinita pibil made with jackfruit, vegetarian empanadas, and different veggie soups, too. 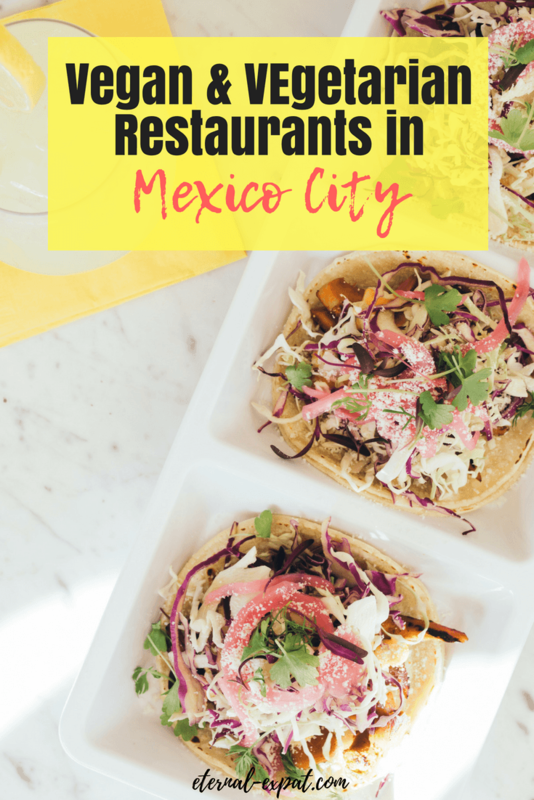 It’s located pretty far south of the city near the Frida Kahlo Museum neighborhood, so great if you’re looking for a brunch or lunch spot after your trip to the museum (although it’s still a solid 10 minute Uber ride from there). This definitely isn’t the healthiest option on the list, but it’s a great vegan restaurant in Mexico City and perfect if you’re looking for some vegan junk food. They make vegan pizzas, sandwiches, burgers, and hotdogs. They also always have a decent selection of vegan desserts like donuts, cookies, brownies, and cakes. My absolute favorite are their housemade fries made of a mix sweet potatoes and regular potatoes. The rub they put on them is nicely spiced. It’s also a good place to grab a takeaway coffee. They have a few different non-dairy milk options to choose from. This is a great healthy option, even if you’re not looking for a vegetarian restaurant in Mexico City, you’ll likely enjoy the abundance of fruit and vegetables on offer here. They have a daily menu that focuses on the macrobiotics that the body needs, which makes it sound very unexciting and like the food isn’t going to taste good, but it is actually pretty tasty. They also have a store attached to the restaurant where you can buy vegan foods and snacks including really tasty tamales that they make fresh in their kitchen every day. I love the courtyard here and often come just to sit in the sunshine and enjoy a coffee, but they also make a ton of great vegan food, too. They make Mexican classics like tacos, tortas, and gorditas all without using any animal products. If you’re staying in Mexico City long term or you want to self-cater, Don Andres also sell packaged vegan meats, which can be nearly impossible to find in normal shops around Mexico City. This is a totally vegan taqueria where you can enjoy cauliflower, jackfruit, and vegan meats that have been transformed to taste almost identical to pastor tacos, cochinita pibil, and barbacoa. The flavors are incredible and you can really enjoy all of the flavors of Mexico without having to eat any meat. They are definitely more expensive than your average street taco at about 30 pesos per taco, but it’s definitely one of the best spots to try vegan tacos. Pitahaya is a popular fruit in Mexico that comes from a cactus. It’s on the menu whenever it’s in season (usually only between April and late-June), but otherwise you’ll find a huge selection of fresh and healthy vegan dishes on offer. I really love their raw breakfast bowls that are made with cashew yogurt, bananas, apple, strawberry, cranberry and the always delicious grain, amaranth (it’s native to Mexico, so you’ll see it a lot in vegan restaurants in Mexico City. They also have a nice lunch selection with healthy tacos and seriously delicious vegan desserts available. Both vegetarians and meat-eaters alike will love this place. It’s a little upscale with beautiful plating, delicious food, and excellent service. If you’re looking for somewhere upscale to enjoy a nice dinner that serves only vegetarian options, look no further than Los Loosers. It started out as a vegan ramen bar which is what you’ll find here most days, but they also have also started serving up some nice Mexican options during lunch hours. It’s the tastiest meat-free ramen I’ve ever eaten in my life and I’ve been trying to replicate that broth ever since. Maria Bonita Veganos is a food stall where you can enjoy some vegan junk food. One of my vegetarian friends came to visit a few months ago and I took her here and she said it was so nice to be able to take part in the street food scene that seems so popular here in Mexico City without having to sacrifice anything. There is a wide variety of things on the menu including some suspect looking spaghetti. My suggestion? 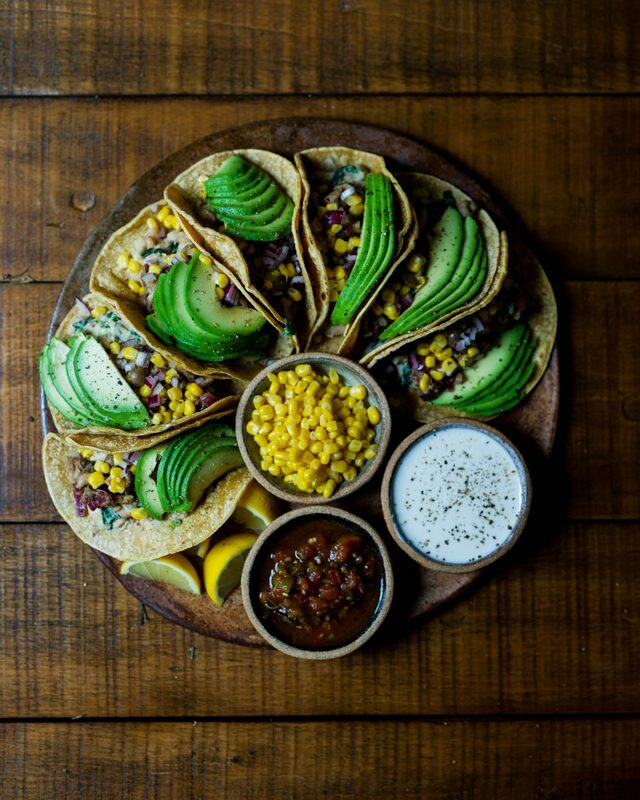 Stick to the Mexican inspired options like tacos and gorditas to enjoy Mexican flavors with a vegan twist. This is another food stall that serves only vegan options. I really love their veggie burgers, but they also do vegan tacos, vegan hotdogs, sandwiches, and breakfast parfaits. As the name suggests, they also have plenty of bread (pan means bread in Spanish). 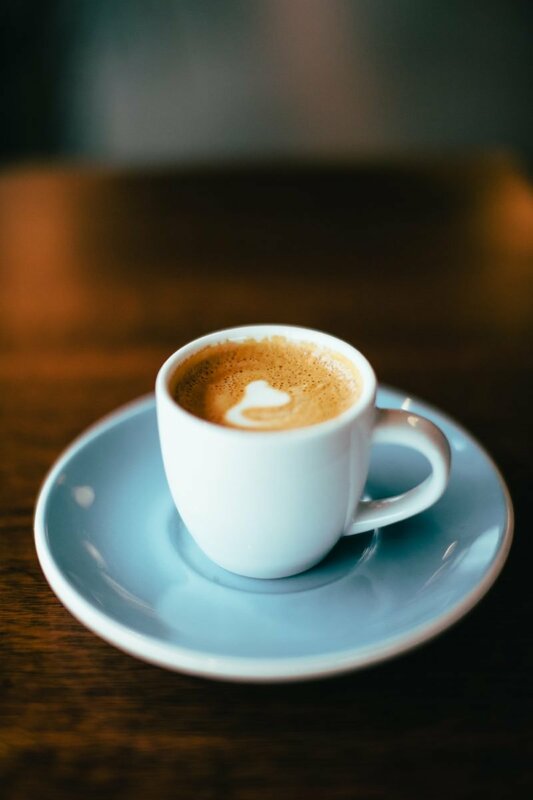 I love their conches, which are a slightly sweet bread roll that go perfectly with coffee (although they don’t have coffee, so you’ll have to bring it from the nearby Starbucks). This is a cute little cafe on the edge of Roma, also very close to Condesa. I stumbled by it the other day and headed in to try their coffee. They have plenty of non-dairy milk options and I thought whatever almond milk they used was super creamy (I could little go off on an hourlong monologue about bad almond milks I’ve tried around Mexico). They have a really nice selection of vegan cookies and snacks which are incredibly tasty. They also have breakfast and lunch options like vegan waffles, enchiladas, and tofu scrambles. The slogan at Falafelito is “As Vegan as it Gets.” So you can assume that everything on the menu is vegan. That being said, my non-vegan, meat-eating boyfriend also absolutely loves this place.The falafels are fluffy, the pitas are really tasty and they have whole grain options. 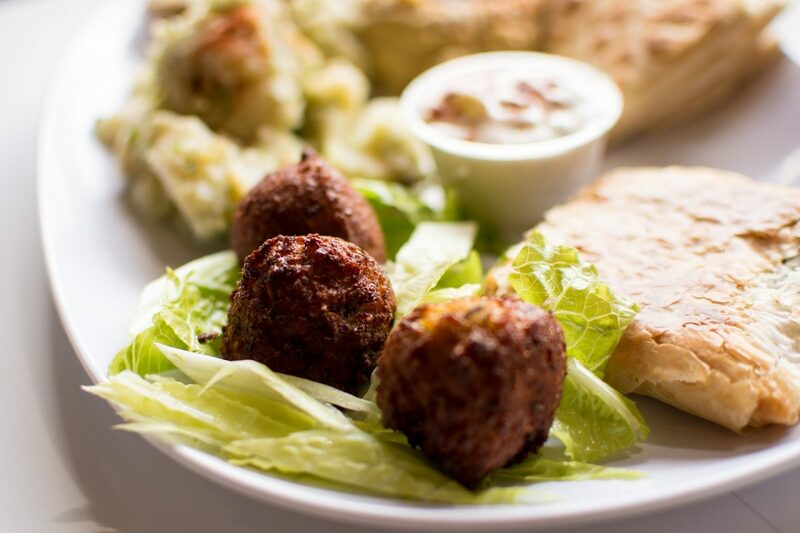 The hummus is definitely made in-house and is packed with flavor and they always serve it with a complimentary drink. A great lunch option in Condesa. If you feel like going to a regular Mexican restaurant or you’re traveling with people who aren’t vegetarian, fear not, there are plenty of options on the menu in most Mexico restaurants that are naturally vegetarian (and that can easily be made vegan by asking for it without cheese or cream). This is almost always a vegetarian option unless otherwise specified. It’s a pile of tortilla chips that are topped with salsa made of green or red tomatoes, chilis, onions, and cilantro. They are then topped with chopped onion, cream, and cheese. Sometimes they will ask if you want to have it with chicken (pollo) or eggs (huevos), simply say no, gracias to avoid and additional toppings that you don’t want. Surprisingly, quesadillas are easily made vegan in Mexico City. They only come with cheese if you request it. I don’t know if this is the case in other parts of Mexico, but everywhere I’ve been in Mexico City, cheese is an add-on for your quesadilla. Some really delicious vegan fillings to keep an eye out for are huitlacoche, which is a corn fungus that is very creamy when cooked, and flor de calabaza, which is zucchini flowers. If you’re concerned, simply request that you do not want it with cheese. This is something you’ll find all over the city at taco stands and restaurants. If you find yourself at a retaurant and see nopales, or cactus, on the menu, you can be almost 90% certain that there is no animal product. It’s a great alternative to meat fillings in tacos. These are both popular street foods and are usually found at the same stands around Mexico City. 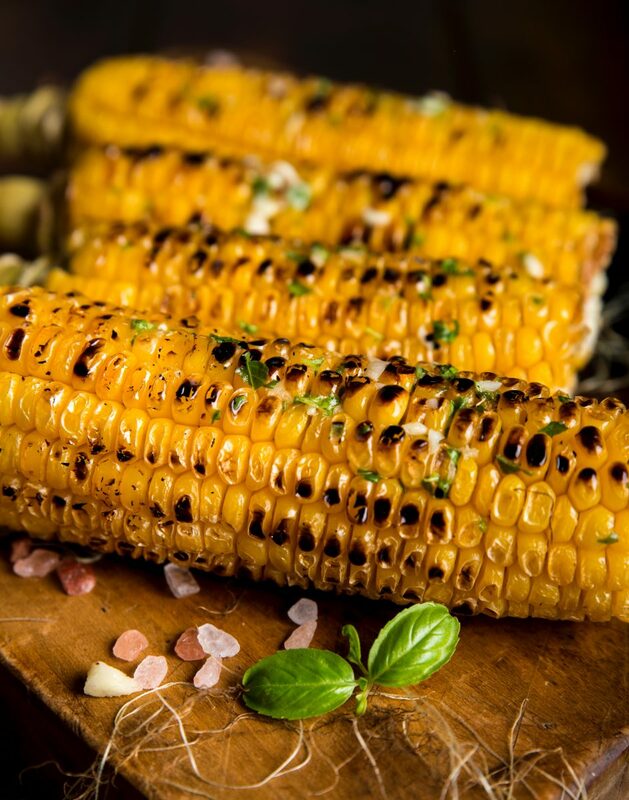 Elote is corn that has been grilled on the cob that is usually topped with mayo, chili, cheese, lime, and salt. Feel free to ask for it without anything on it or simply with a touch of salt and lime. It’s a great healthy and tasty snack while you’re out and about exploring mexico City. Esquites are slightly different. The corn has been removed from the cob and cooked over a flattop grilled with chilis, limes, and plenty of salt. This is the slightly less healthy option and make sure that if you order it and you are vegan that you say you want it without mayonaise (pronounced the same way in Spanish) and cheese (queso). If you find yourself at a vegetarian restaurant in Mexico City and you want to make a dish vegan, it’s good to know a few words so that you can ensure that you don’t end up with an animal product on your plate.